Made from top quality natural ingredients. Bundle pack of 4 flavours (white meat tuna scallop, white meat tuna with fiber, white mean tuna and tuna scallop mix). 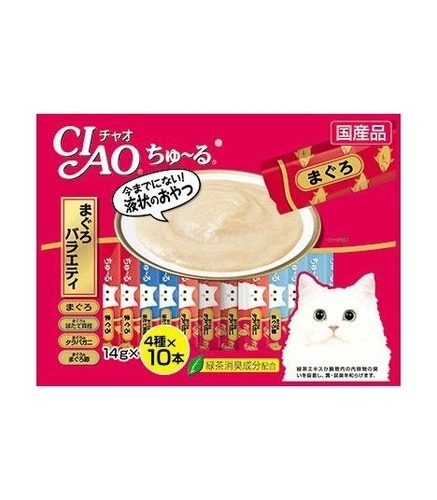 CIAO Chu-ru & Chu-ru Grilled Skipjack Tuna Japan’s No.1 Best-selling cat treats! 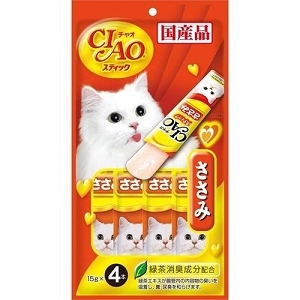 Available in delectable varieties, CIAO Chu-ru is high in moisture to help effectively replenish lost fluid in your cat’s body. 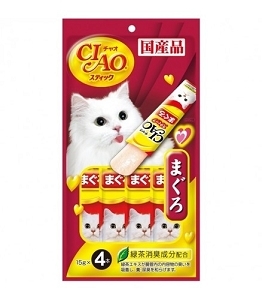 • Great for senior & mature cats with dental complications or aging teeth, helps kittens to acclimatize and transition to dry food, and great for cats with loss of appetite and those recovering from illnesses. 4) Feeling hot? Freeze the Chu-ru stick and let your little one enjoy a frozen treat! 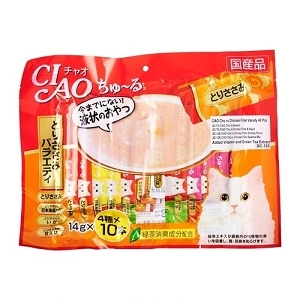 CIAO Chu-ru now comes in JUMBO packs of 40 sticks!